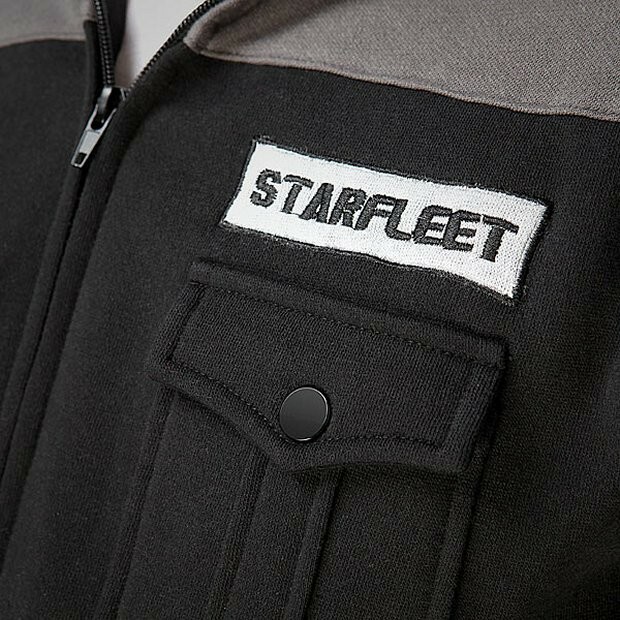 Have you ever noticed that ever since Star Trek: The Next Generation, whenever an away team beams down to a planet for a stealthy or tactical mission, that they always wear special tactical uniforms? 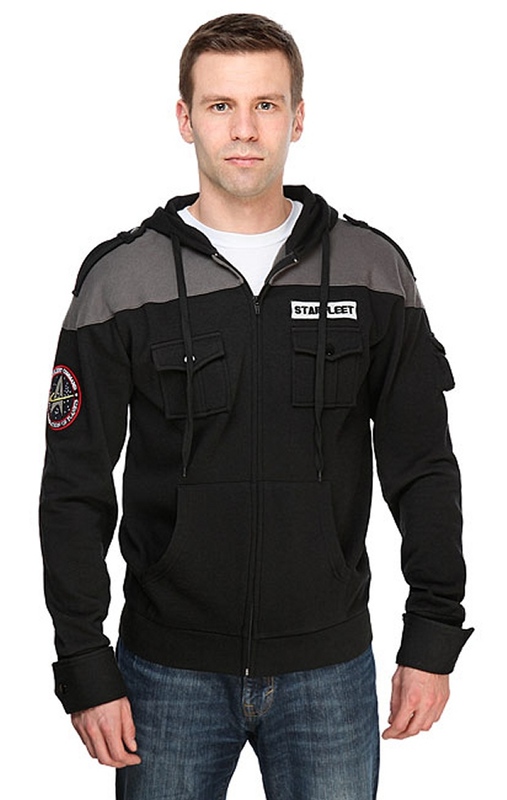 Well, this awesome hoodie is a Starfleet Tactical Hoodie from an alternate universe. It was never worn in any of the Star Trek movies or TV shows, but it is a cool “what if” piece for your wardrobe. 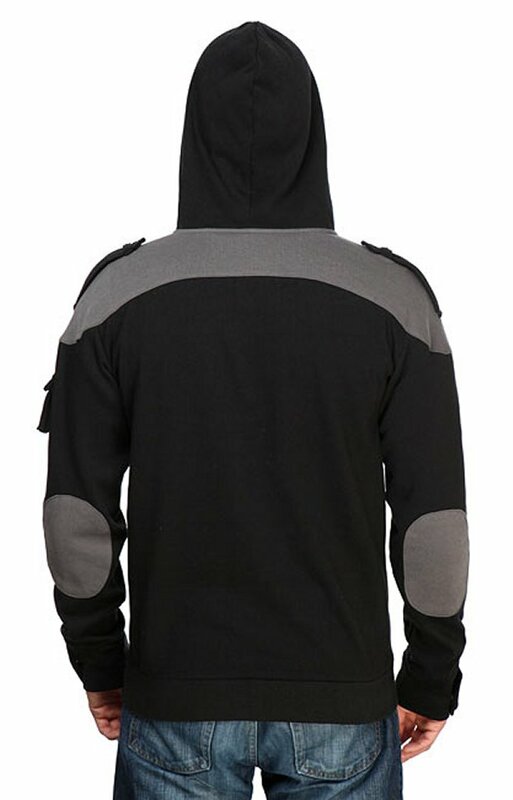 This black and grey hooded sweatshirt has an embroidered Starfleet patch on the right arm and left chest, two chest pockets, one pocket on the left sleeve, elbow patches, and snap-closure epaulettes. 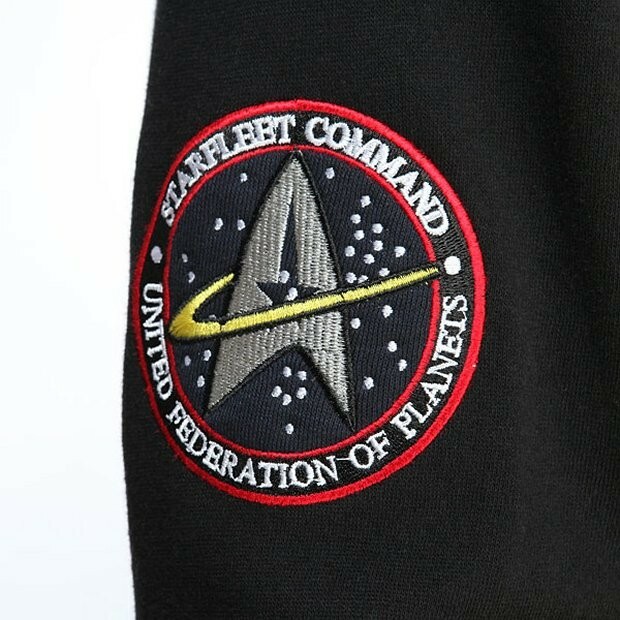 It’s made of 60% cotton and 40% polyester, which will surely protect your from phaser blasts and hostile alien climates. It looks pretty cool and will keep you safe on your away mission.